It is essential that you are body and mind are in optimal shape before you take the wheels. This includes ensuring that you have 7-8 hours of sleep the night before. However, if you are feeling tired before a trip, it is recommended that you take a 20 minutes power nap to recharge yourself. Similarly, if you start feeling drowsy in the middle of a long journey in your used car, Abu Dhabi, you can simply pull over and get some sleep before getting back on the road. It is a good idea to be aware of the symptoms of drowsiness such as feeling restless, long slow blinking, having a heavy head and having disconnected thoughts. Knowing these signs would help reduce any lapses in attention and prevent road collisions. To stay alert, you can try drinking tea or coffee before a drive. However, caffeine is not a permanent solution and its effects will wear off certain hours. You can also take coffee breaks in the middle of your journey whenever you feel drowsy or tired. Studies have shown that many accidents happen between 6 pm and 6 am. This is because of a combination of visibility challenges caused by tiredness after driving for long distances and dark conditions. That’s why it is recommended that you avoid driving at night, especially from 1 am to 5 am, particularly when you are feeling sleepy. Your body needs energy to function properly and this energy comes from the nutrients provided by food. Try having a meal consisting of energizing foods before a long drive to help you stay vigilant when you are on the road. You can try going for lean protein and whole grains instead of fast food for nourishment and sustained energy. Another idea is to take a vitamin pill after a meal to help you stay awake. Another way to stay awake when you are feeling drowsy is to use a mist spray. This will perk you up and will mitigate the effects of fatigue. If a mist spray is not available, you can splash your face with water to wake yourself up. Do you want to sell your car in Abu Dhabi or buy a used car, Abu Dhabi but do not have the time to go through the hassle of dealing with various buyers and paperwork? 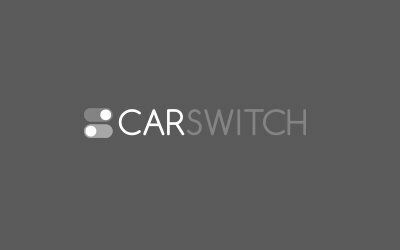 Log onto CarSwitch.com and leave it to us!